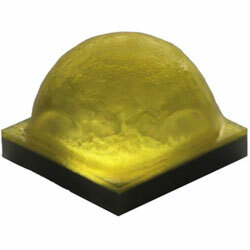 The Cree XLamp XHP35.2 LED is the next generation of extreme High Power LEDs offered in the XP footprint. They are now available from RS Components. Built on the company’s latest high-power LED technology, the device improves the voltage characteristics, efficacy and reliability in the same 3.45mm x 3.45mm footprint. The new LED offers an easy drop‑in upgrade so that lighting manufacturers can achieve higher system LPW on existing XHP35 designs with minimal system redesign cost. The device is available in five-step easyWhite bins at 2700K to 5700K CCT and three‑step EasyWhite bins at 2700K to 3500K CCT. They are available in standard, 70, 80, 85 and 90‑minimum CRI options, binned at 85C, with a maximum drive current of 1050mA. The LED offers low thermal resistance at 1.8C/W. The device provides a wide viewing angle at 135-degrees and is reflow solderable.